Washington: According to the United Nations, more than 8 million tons of plastic flow into the oceans each year. 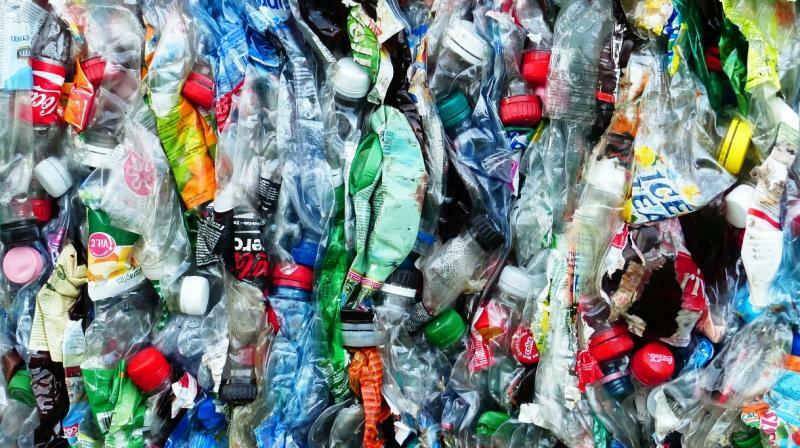 However, a new chemical conversion process could transform the world’s polyolefin waste, a form of plastic, into useful products like clean fuels and other items. Wang added, "Our conversion technology has the potential to boost the profits of the recycling industry and shrink the world's plastic waste stock." Wang, Kai Jin, a graduate student and Wan-Ting (Grace) Chen, a postdoctoral researcher at Purdue, are the inventors of the technology, which can convert more than 90 per cent of polyolefin waste into many different products, including pure polymers, naphtha, fuels, or monomers. The team is collaborating with Gozdem Kilaz, an assistant professor in the School of Engineering Technology and her doctoral research assistant, Peter Vozka, in the Fuel Laboratory of Renewable Energy of the School of Engineering Technology, to optimise the conversion process to produce high-quality gasoline or diesel fuels. The conversion process incorporates selective extraction and hydrothermal liquefaction. Once the plastic is converted into naphtha, it can be used as a feedstock for other chemicals or further separated into specialty solvents or other products. The clean fuels derived from the polyolefin waste generated each year can satisfy 4 per cent of the annual demand for gasoline or diesel fuels. Some results of Wang's study were published January 29 in ACS Sustainable Chemistry and Engineering. Wang became inspired to create this technology after reading about the plastic waste pollution of the oceans, ground water, and the environment. The World Economic Forum predicts that by 2050 the oceans will hold more plastic waste than fish if the waste continues to be dumped into bodies of water. Wang added, “Plastic waste disposal, whether recycled or thrown away, does not mean the end of the story. These plastics degrade slowly and release toxic micro-plastics and chemicals into the land and the water. This is a catastrophe, because once these pollutants are in the oceans, they are impossible to retrieve completely." Wang said she hopes her technology will stimulate the recycling industry to reduce the rapidly rising amount of plastic waste. She and her team are looking for investors or partners to assist with demonstrating this technology at a commercial scale. Wang's technology is patented through the Purdue Research Foundation's Office of Technology Commercialisation.